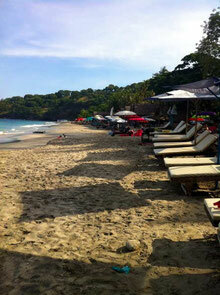 We are specialized in destinations, where you can experience the real, original Bali. 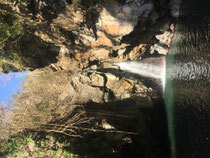 The majority of our tours will take you to places where you will find hardly any other tourists. To achieve this goal, we are always on the lookout for new tours and treks. Try to visit this website often - there's always something new to discover! 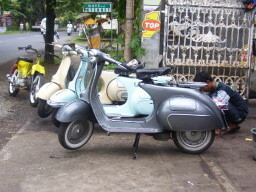 By the way: Although the Vespa appears prominently in our company name - we are open to alternative transportation if you do not like these scooters. In every village all over Indonesia there are motorbike taxis. They are called "ojek". 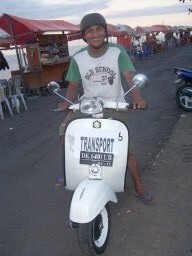 If you have been to Bali before, you might have been adressed by one of the ojek-drivers: "Transport?" Also no Angkut could be found. 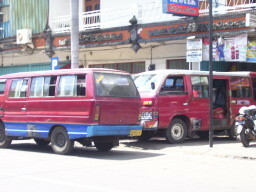 Angkut: middle sized busses for up to 20 passengers. They connect towns and will stop everywhere when you wave to the driver. Then they can find an ojek as mean of transportation at the "pos ojek". 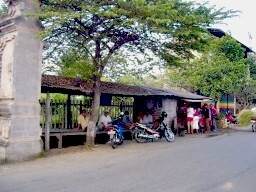 In the evenings the Balinese prefer to stay at their homes. 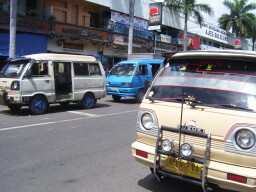 For ojek-drivers tourists now are an additional source of income. 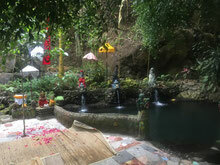 We are an ojek company specialized on the needs of Bali-tourists looking for extraordinary tours and events and new ideas concerning their holiday. Furthermore we only use historic vespas. Maybe you like our idea.